Never Enough Nails: This Polish Makes Robbing Graves Quite Dandy! 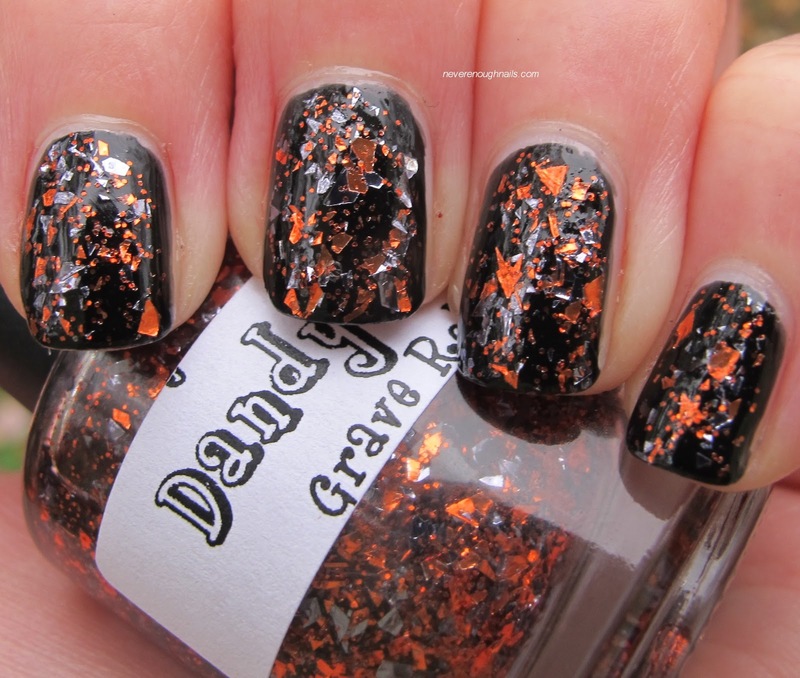 OMG.... the Indie polish makers are killing my bank account with their Halloween releases. 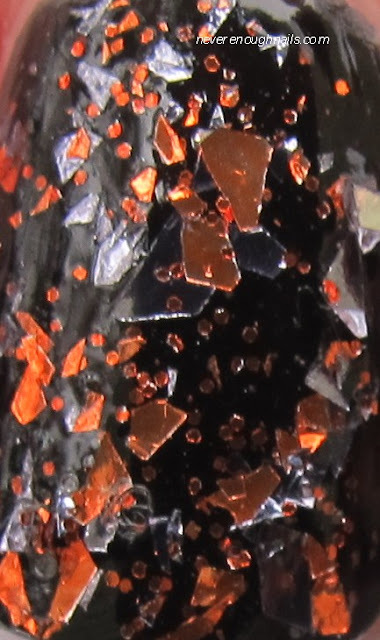 Resistance to Halloween polish is futile for me. I hadn't tried Dandy Nails at all, but when I saw the first swatch of Dandy Nails Grave Robber, I went to her Etsy store and purchased it STAT. Grave Robber is orange and GRAY (!!) glitter shards in a clear base with a sprinkling of smaller orange glitter. GRAY GLITTER. THAT IS LIFE. I wish my pictures captured the beauty of this, I might have to re-swatch. Hurricane Sandy's impending clouds of doom kind of ruined any sunlight I would have liked for these pictures. This is two coats of Grave Robber and the application was ridiculously awesome. The base was not too runny or thick, and there were sh*t tons of glitter in every brushstroke. I could have done one coat very easily, but I wanted that extra glittery feel! 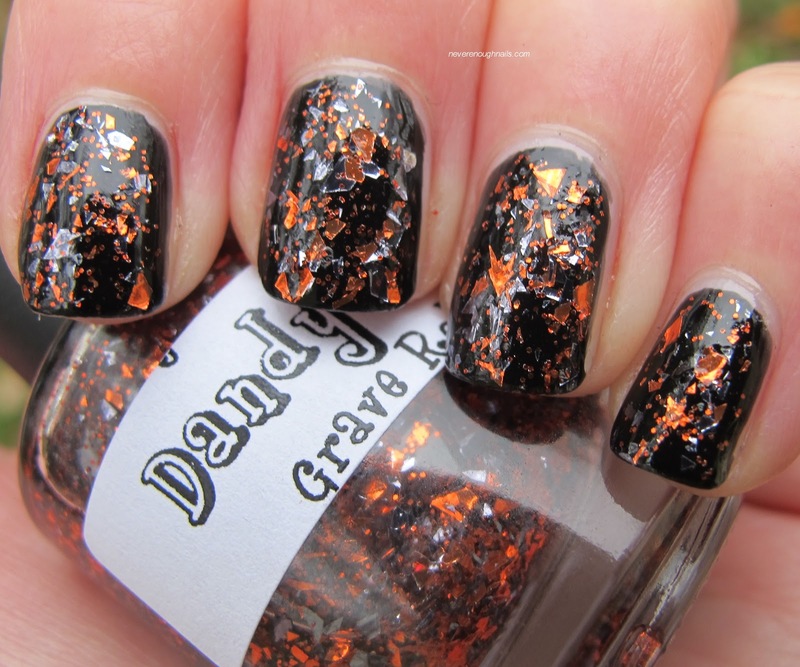 Now that I've tried Grave Robber, I want MOAR Dandy Nails! 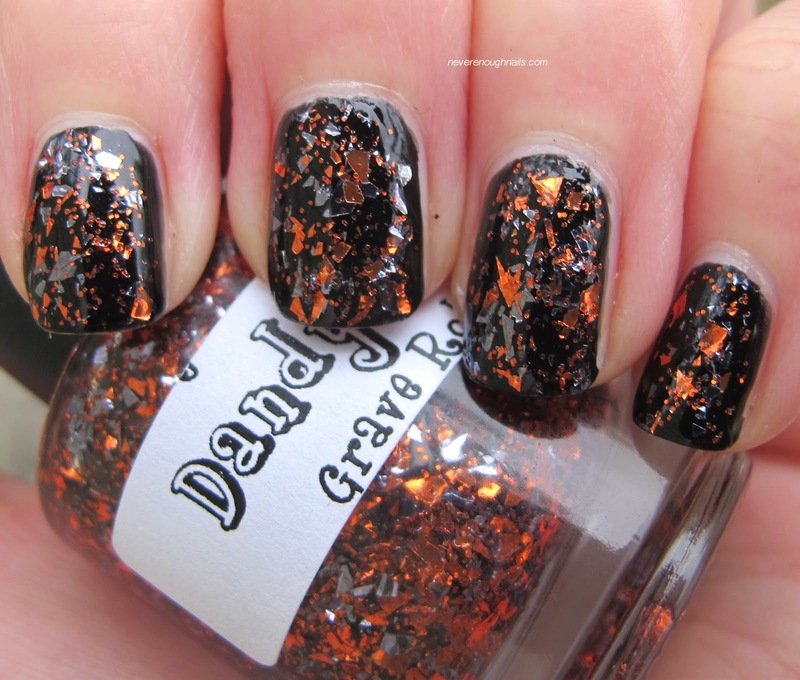 All three of her Halloween polishes are still available on her Etsy shop. I'm debating about ordering Legal Assassin. I'm only debating it because I've spent so much money on polish this month, it's getting bad. My birthday is November 15 though, I wonder if I could make my boyfriend order it as an early bday present!